Note: I've been working on this blog post for quite a while now, and I'm honestly not sure it's going to make any sense, so good luck reading! One of my favorite things about jewelry is it's role as a communication device which turns the wearer into a billboard expressing the wearers beliefs. Traditionally, jewelry also doubles as a portable asset or an outward display of wealth. 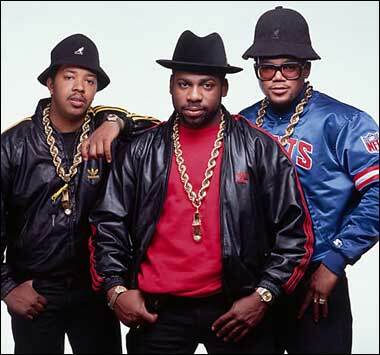 Jewelry in excess is nothing new in the world of hip hop, think back to the iconic images of RUN DMC wearing twisted gold chains, with oversized pendants. Since they first stepped onto the scene in 1984, RUN DMC helped to create an image that has influence generations of musicians after them. 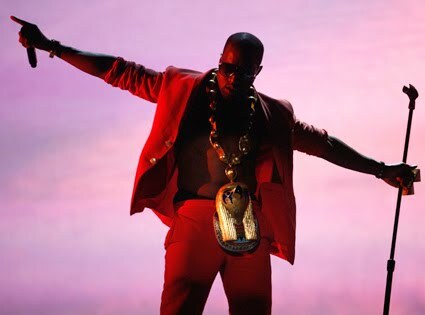 It's been over 25 years since the pioneer of hip hop artists donning opulent gold chains, diamonds, pendants, watches, and other oversized baubles and the jewelry is becoming bigger, brighter, and more expensive. Today, chains and pendants are becoming so large that they are almost unwearable. Artists are layering them in a melee of gold and glitz. 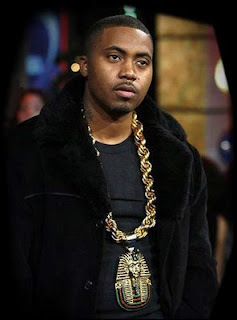 Some things haven't changed at all, like NAS's necklace at the right, he could have reached back in time and taken it right off of Jam Master Jay's neck. But, some things are evolving at a rapid pace. Gone are the days of sporting a stolen Mercedes hood ornament on a chain around your neck as pendants are growing larger and encrusted in colored pave set diamonds. 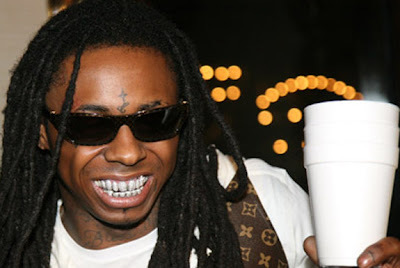 I have to say that I really do appreciate this hyper-opulence that is being embraced by the hip hop culture. It's steeped in history (from acknowledging previous hip hop and rap artists to embracing African cultures), and at the same time there is a drastic over-the-top-ness that is so obscene that I can't do anything but to embrace it. I think that there is a silent understanding that some of these pieces are completely tongue-in-cheek, like the huge dollar sign pendant that Nigo is sporting below... It's completely a redundant piece (joke?) that is made of money, about money. 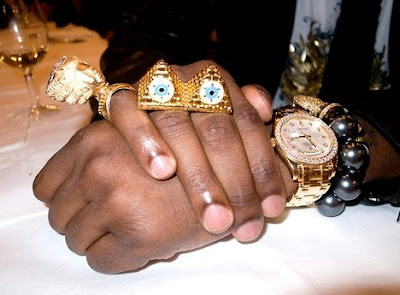 I often find myself thinking about menswear jewelry, and what it's role in society is. The examples in this post are just one facet of that genre.. and such an eye catching, mouth watering facet it is! 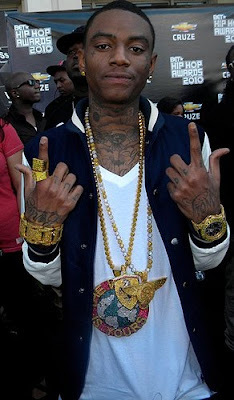 For more examples of gold, diamonds, and other examples of urban jewelry, be sure to check out one of my new favorite blogs: YOU SEE THAT CHAIN?